Alter Experiences LLC is an outdoor hospitality movement based in the high mountains of San Diego's backcountry. 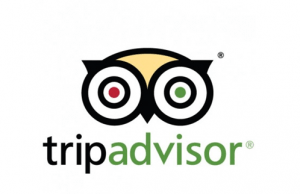 We're dedicated to creating meaningful experiences in nature & encouraging sustainable tourism development globally. 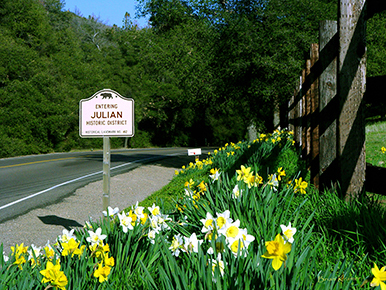 We currently manage several sites in Cleveland National Forest (Laguna Mountain), Julian & near Lake Cuyamaca. Our primary sites are nestled in the high mountain forests of San Diego's backcountry - sky islands where pristine nature and wild-life thrives. These are some of the most remote and biologically diverse habitats in all of Southern California that include many open space preserves, National Forest Lands and State Parks. Each one of our sites is handpicked to offer you a truly nature immersive experience. We strive to create the most comfortable outdoor experience possible, even at our most remote locations. 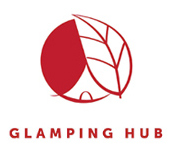 We take all that's fun about traditional camping & combine it with modern comfort & state of the art equipment. The result is an outdoor & nature immersive experience unlike any other. We offer various accommodation styles depending on location. Our Tentsile tree tents are definitely the most popular - a lightweight tree house that uses 3 anchor points to create a "living space" suspended between trees. Our elevated tree tents bring a whole new dimension to the traditional camping experience. Our plush & cozy bell tent was designed with the ultimate comfort in mind! It feature all the amenities you can expect at a hotel. We're redefining the hospitality experience and setting new and exciting tourism trends in San Diego! RELAX. EXPLORE. ENJOY. WE TAKE CARE OF THE REST. Join us in a nature immersive retreat to one of Southern California's most pristine & biologically diverse habitats. 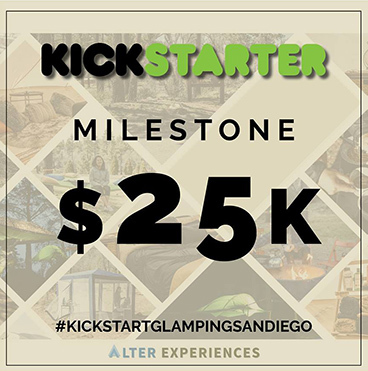 Operation #KickstartGlampingSanDiego was successfully funded on March 31, 2019. 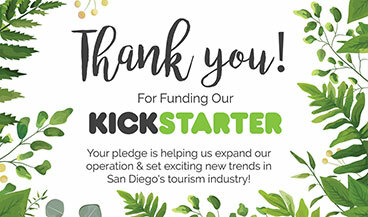 This campaign was a major stepping stone for outdoor hospitality growth in San Diego. The money we raised is going to help us expand our operation and establish new destinations, both in Southern California and abroad. Baja California and Catalina Island are among our top two destination choices. We're excited to apply crowd-funding campaigns as we open up new destinations in the future. 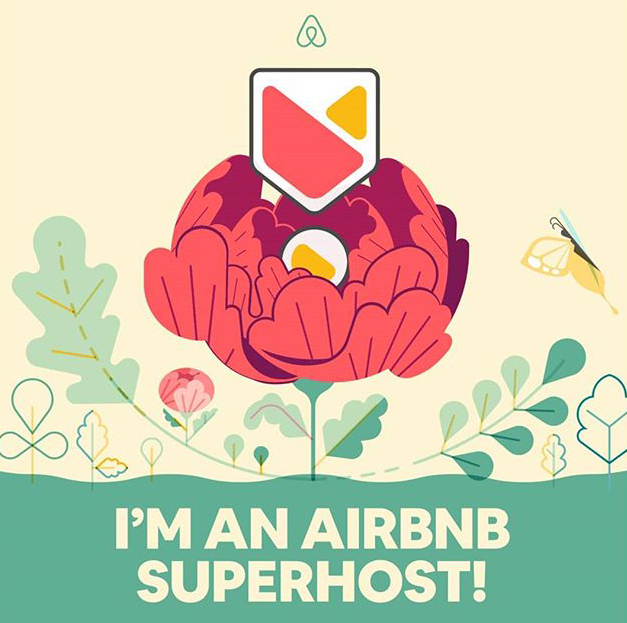 Sign-up for exclusive offers, giveaways and the latest news on sustainable tourism and outdoor hospitality trends. Sleep in the trees under the stars & rediscover the joys of nature & wildlife. 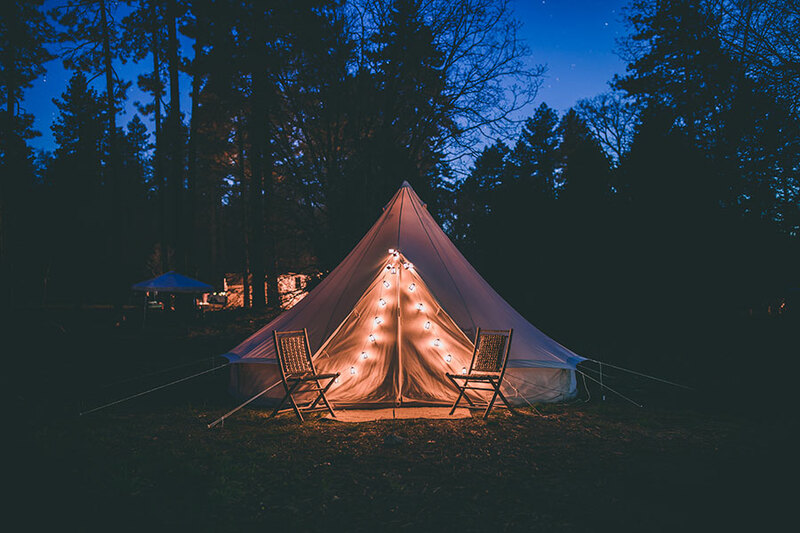 If camping isn't your thing, try one of our plush & cozy bell tents with therapeutic mattress & standard hotel amenities. We cater to all levels of outdoor enthusiasts & even non-campers. 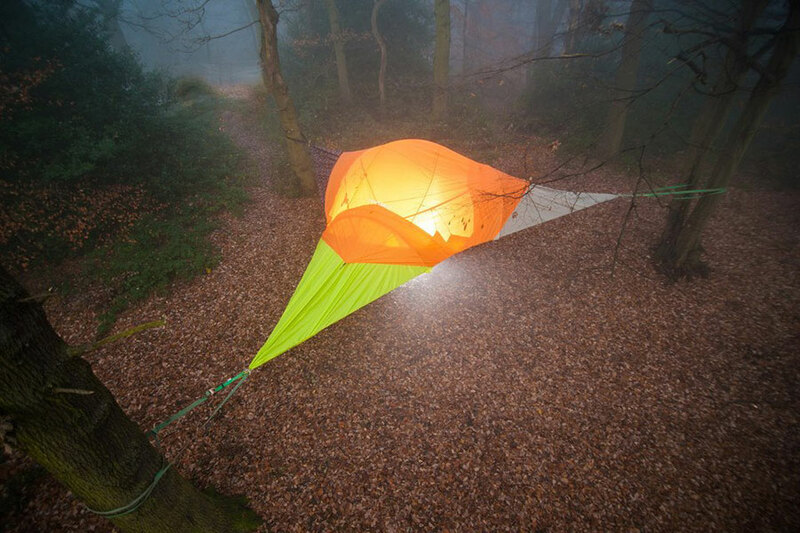 Our versatile & groundbreaking Tentsile Tree Tent is a marvel in design. This comfortable outdoor shelter keeps you elevated above inhospitable terrain, insects, snakes & other creepy crawlies. The Stingray Tree Tent is our flagship three-person model made with a spacious, triple hammock interior that keeps campers separated & comfortable, & micro-mesh that shields you overhead. The tent is accessed via a floor hatch with rope ladder. The structure comprises an adjustable frame of 2.5 tonne webbing straps & is enclosed in a PU-coated waterproof polyester fabric fly. The webbing frame is held in tension at each of the three anchor points with ratchets & stays surprisingly taut & firm under weight. It can withstand up to 880lbs. The rainfly enclosure guards against the elements—which also forms a shaded are below & wind breaking thermal buffer once pegged to the ground. We have tree tents for couples and single glampers. Your tree tent comes with sleeping pads, single or double sleeping bag, pillow, & light. We really set out to create a new standard for outdoor hospitality with our bell tent. Our plush & cozy bell tent was designed with the ultimate comfort in mind! 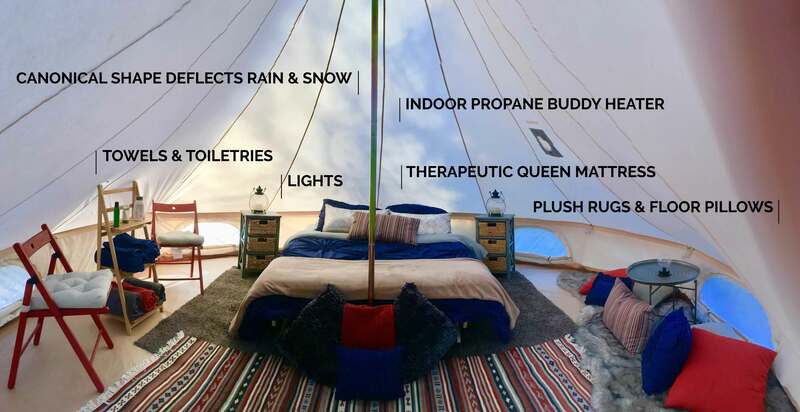 It comes with a therapeutic queen mattress, pillows, linens, comforter, bedside tables, plush carpets & floor pillows, ambient lighting, chairs & can fit up to 4 people. The tent is ideal for families. Our bell tent also features a safe & portable propane heater that keeps the tent nice and warm even during the coldest nights. The tents are completely snow and rain proof and also have ventilation windows for summer months with bug guard. The canonical shape deflects winds and leaves no place for rain or snow to gather. Stout Tents are the highest quality tent on the market & we've hosted dozens of groups with nothing but positive reviews about the experience. We're setting the standard for outdoor hospitality experiences in San Diego & beyond. We need immediate intervention if we hope to reverse these trends. 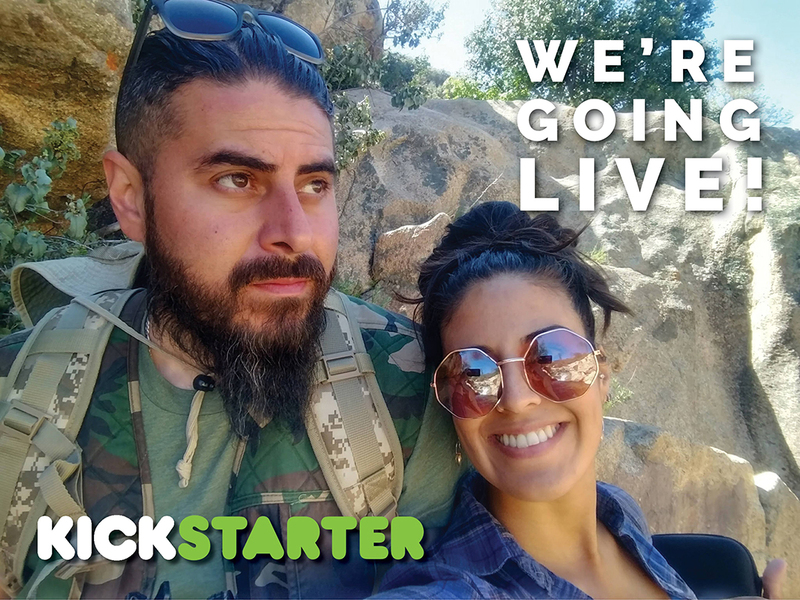 A resource for nature lovers, environmental stewards, world explorers, sustainable lifestyle advocates & community activists. 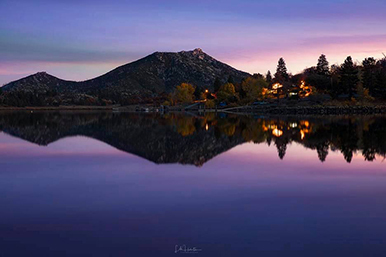 Lake Cuyamaca is a small shallow reservoir located about an hour east of downtown San Diego in the Cuyamaca Mountains. 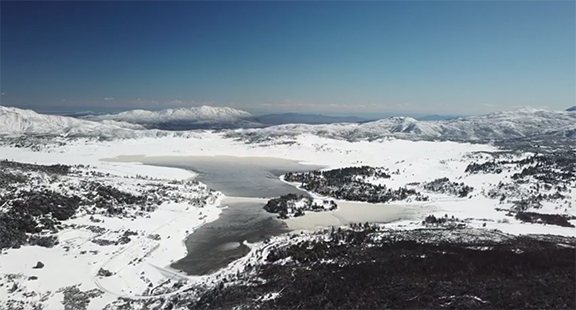 The 110 acre lake is San Diego’s most scenic reservoir, and offers unique fishing opportunities not available at any of the other local reservoirs. 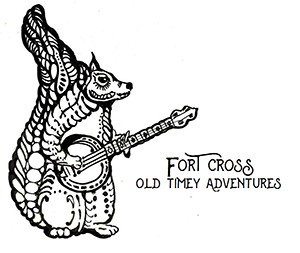 Alter Experience LLC currently operates under permit on the Cleveland National Forest. This institution is an equal opportunity provider.